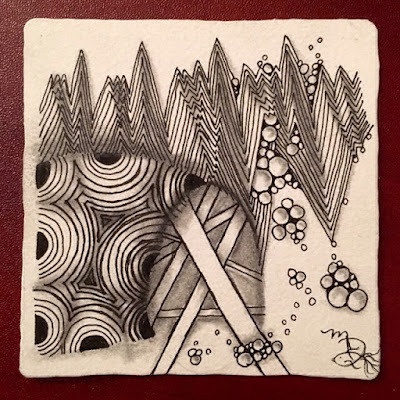 I had an introduction to Zentangle® class recently. My students took off and ran with it! And look at that shading! So good for beginners! Small classes allow for more one-on-one time however, being more personal, I tend to get side tracked easily. 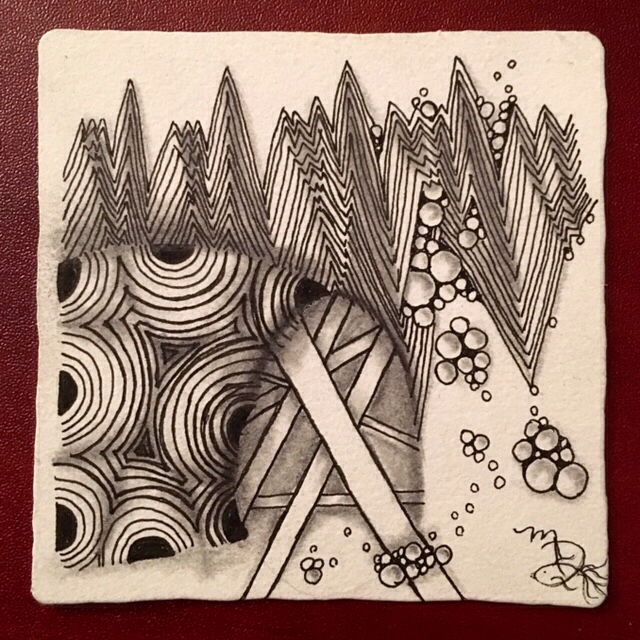 This time I forgot to take a photograph of their tiles! But this allowed for students to complete tiles at home. Here are photos that have made their way back to me intending to be shared with you. Welcome to an awesome community...Zentangle! Very nice Betsy! 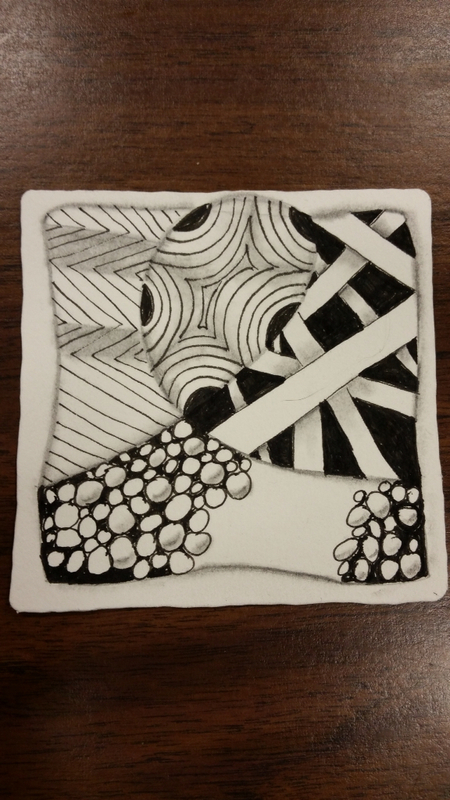 Thanks for sharing student tiles. 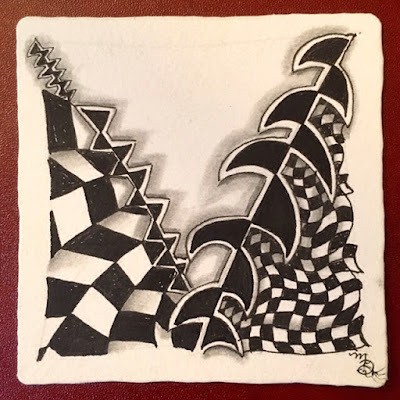 Your students are in for a potentially life enrichening experience if they adopt a Zentangle practice. I too keep classes small -just 4 students at a time currently when students sign up for classes at my business. Small classes are definitely better for the students. 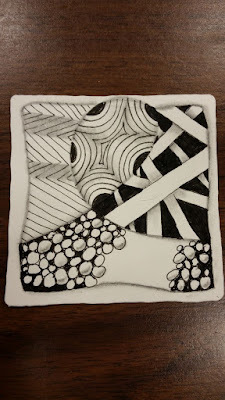 Unfortunately I can't control The Introduction to Zentangle class size at the Community College other than setting the upper limit to 20 students. Fortunately, most classes are much smaller than that. Again, thanks so much for sharing! You rock! New things lead to...well...new things!